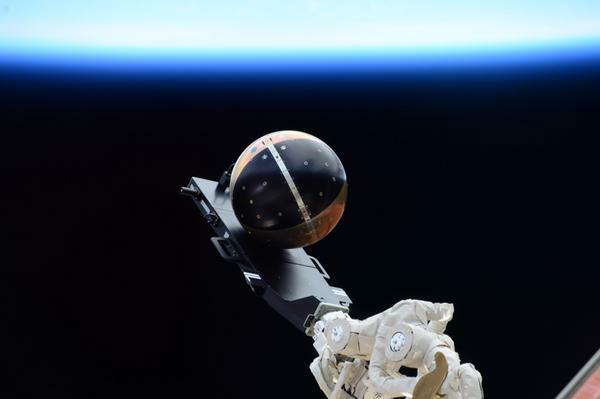 SpinSat was launched to the International Space Station (ISS) on September 21 in preparation for a subsequent deployment from the Japanese Experiment Module (JEM). 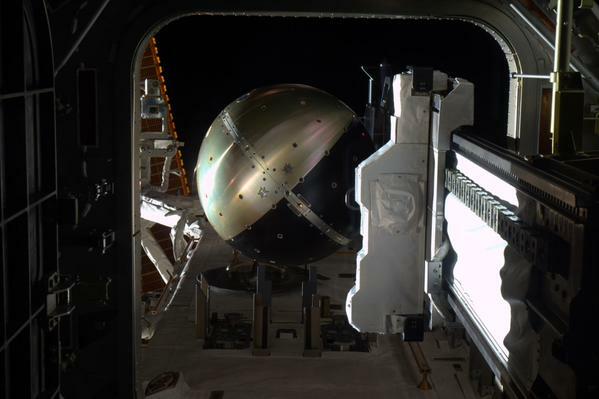 Masahiro Arai JN1GKZ reported that SpinSat would be deployed, using the Cyclops deployment system, from the airlock of the JEM. 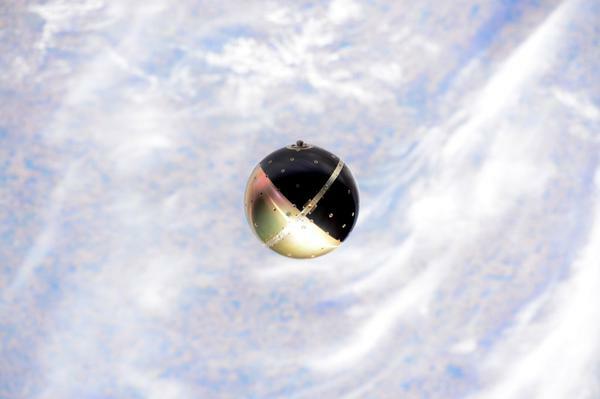 Successful deployment took place on Friday, November 28 at 14:30 UT into a 406 x 417 km x 51.65 deg orbit. SpinSat is cataloged as object number 40314. 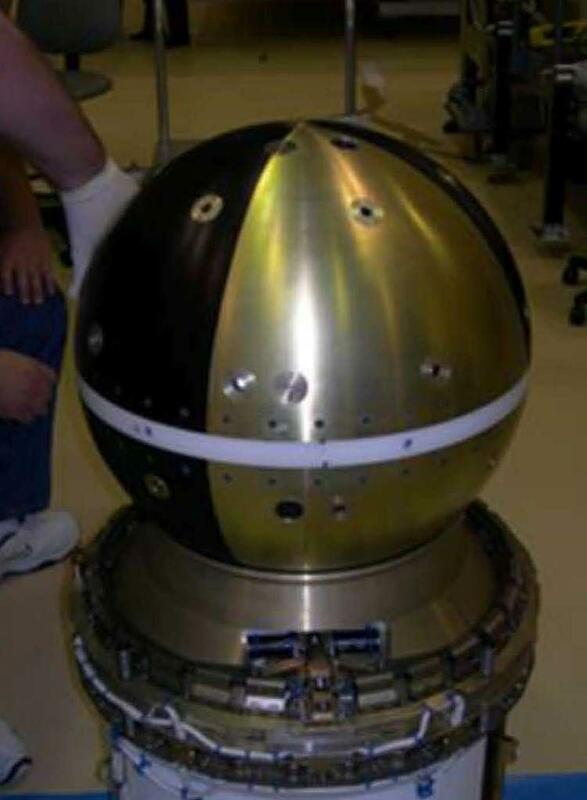 Developed by the Naval Research Laboratory (NRL) SpinSat is a 56 cm sphere weighing 57 kg that has 12 Electronically-controlled Solid Propellant (ESP) thrusters spread in pairs throughout the surface of the satellite. They will be fired in pairs to spin the spacecraft. With just primary batteries and only 4.8 grams of fuel this phase may last between three to six months. 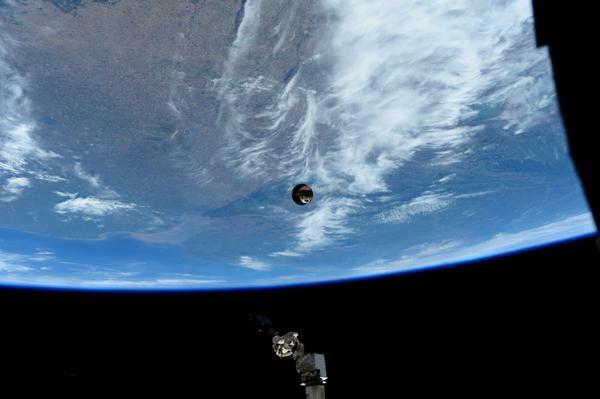 The spacecraft will be used to calibrate the space surveillance network. Lasers will be fired at SpinSat from the ground, the light reflected back will be measured to determine where in time and space the satellite is passing overhead. SpinSat will also model the density of the atmosphere. The IARU Satellite Frequency Coordination Panel report that SpinSat carries a 2 watt RF output 9600 bps AX.25 packet radio store and forward system on 437.230 MHz.